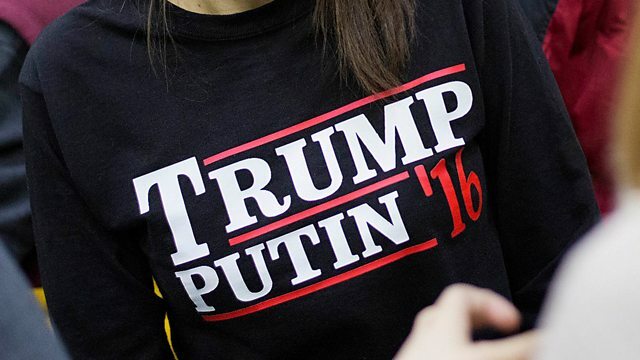 It's become an issue in the US presidential campaign, but what are the facts about the connections between Donald Trump's campaign, Russian oligarchs and Vladimir Putin? It's one of the strangest developments in a very strange election campaign. The Russian president, Vladimir Putin, says Donald Trump is "colourful and talented". For his part, the Republican nominee says Putin "is very much a leader ... far more than our president has been a leader." More than flattering words, on specific policy points - such as the civil war in Syria, the influence of NATO in Eastern Europe, and sanctions against Russia imposed over the conflict in Ukraine - Trump and his advisors seem sympathetic if not outright supportive of Putin's foreign policy objectives. Donald Trump's policies are a startling departure from the normally hawkish Republican Party establishment, and Hillary Clinton and the Democrats have wasted no time in painting Trump's Russia links as a threat to national security. Meanwhile, according to reports in the American press, Russian intelligence agencies are actively looking to disrupt the election. The hack of Democratic National Committee emails, whose contents were released in July, is just one noteworthy example. In this edition of the Briefing Room, David Aaronovitch asks is Donald Trump Russia's man, or just anxious to rebuild half-burned bridges? David Aaronovich looks at Donald Trump's new political base: the 'alt-right'. Are revolutionary socialists trying to take control of the Labour Party? Grammar schools, social mobility and the Tory party's love of educational selection.